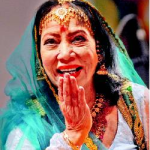 Mumbai: Sitara Devi, an eminent and noted Indian classical Kathak dancer died here early on Tuesday after prolonged illness. She was earlier admitted to the Cumballa Hill Hospital and Heart Institute and was later shifted to Jaslok hospital. Sitara, a recipient of prestigious awards like Sangeet Natak Akademi Award, Padma Shri and Kalidas Samman, has given performances in several parts of India, and in several other countries, including at the Royal Albert Hall, London in 1967; and at the Carnegie Hall, New York in 1976. She was born as Dhannolakshmi in the family of a Brahmin ‘kathakar’ Sukhdev Maharaj in Kolkata in 1920 and chose school and dance over an early wedding, as was the norm of the 1920s. Rabindranath Tagore described her as Nritya Samragini, meaning the empress of dance, after watching her performance when she was just 16 years old. The epithet continues, and she is still described as the Kathak queen. 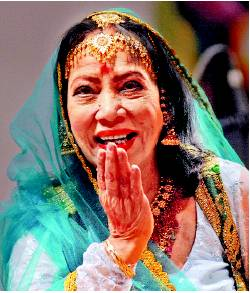 The funeral of the Kathak danseuse will take place on Thursday morning as per her son-in-law has told the media. ‘Her funeral will take place Thursday morning. We are waiting for her son, who has gone abroad for a show,’ Rajesh Mishra, the son-in-law of the 94-year-old danseuse, told media. Prime Minister Narendra Modi condoled the death of Sitara Devi. 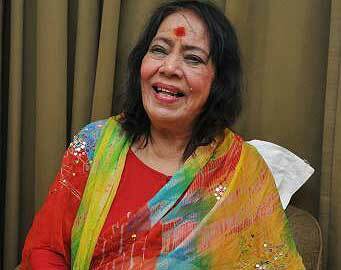 “PM has condoled the passing away of noted Kathak dancer Sitara Devi. PM also recalled her rich contribution to Kathak,” the Prime Minister’s Office said in a tweet. Sitara Devi is survived by a son and a daughter.